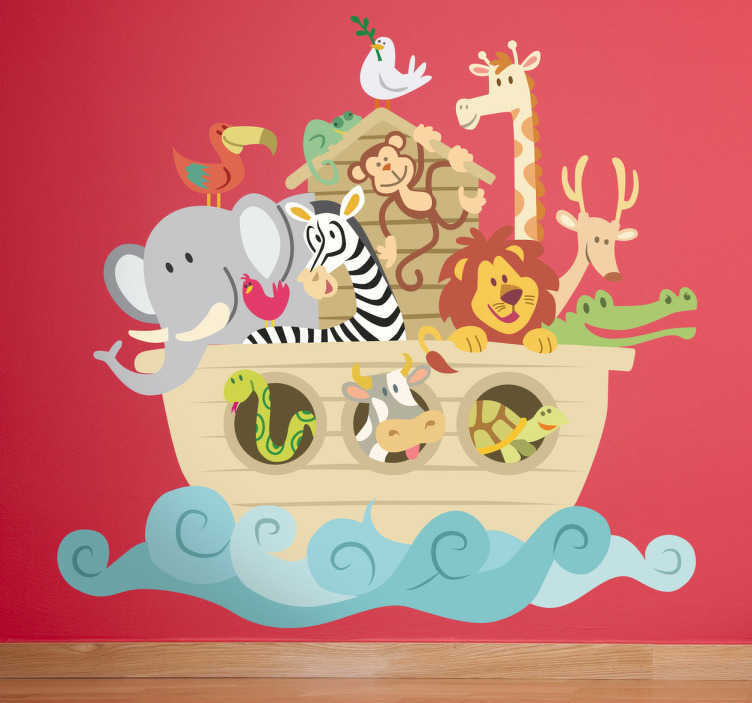 Fantastic animal sticker with a design of the biblical boat built by Noah. It’s not very common to come across something through which you can provide an ideal blend of religious teachings and a fun touch to the wall of your child’s bedroom. This breathtaking vinyl sticker does just that. Religion has never been so much fun to learn! Embark on an enthralling, world-defining journey with Noah in the comfort of your room. We are all on board already. Are you coming along? Ideal also if your child loves animals! Choose the size that best suits you and apply easily to any flat surface.